The Asics Gel Blade 5 squash shoes give dynamism to the look and the game of the squash players. 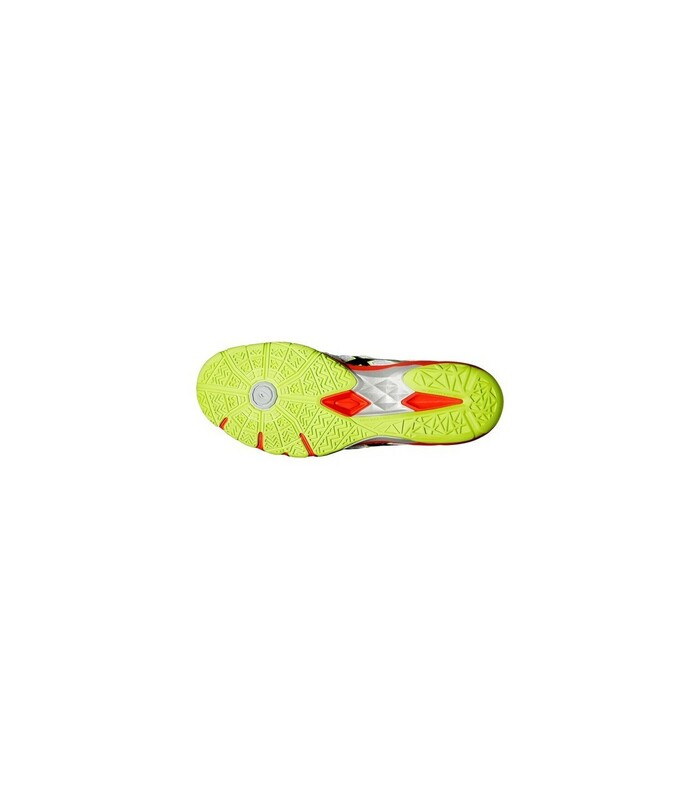 They are lightweight, while providing a good cushioning. 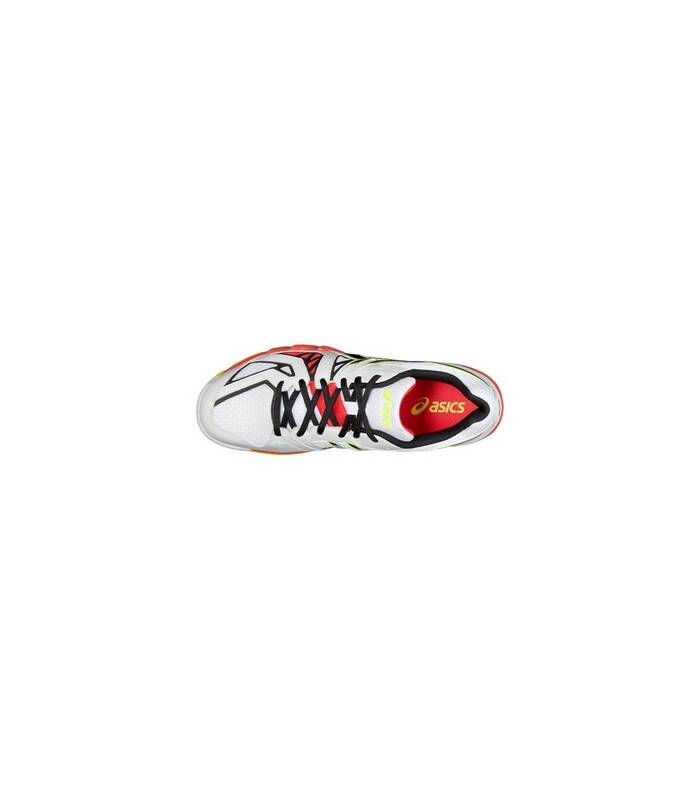 These squash shoes provide stability and help you work your natural propulsion. 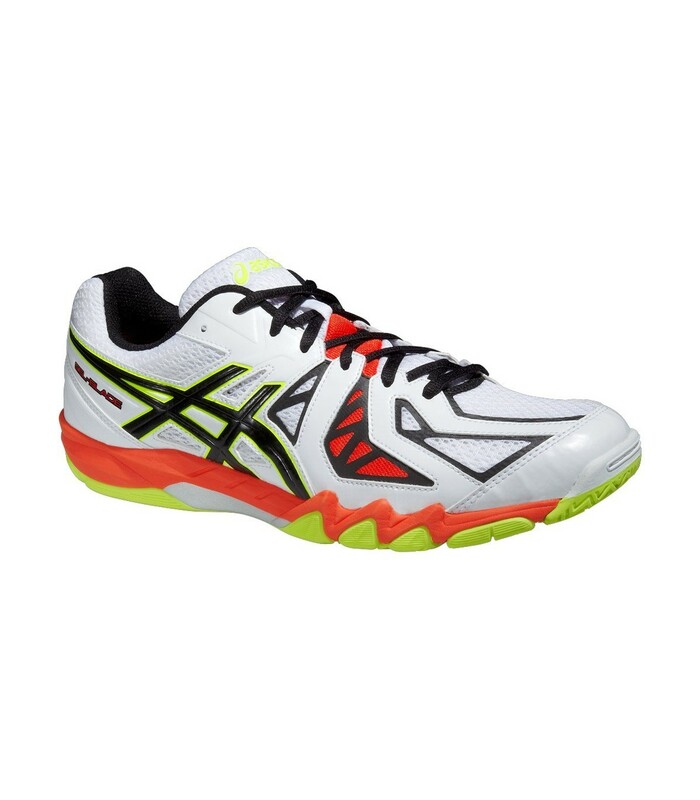 The Asics Gel Blade 5 squash shoes are ideal for players and intensive professional squash. With the Asics Gel Blade 5 squash shoes, your movements are more fluid and faster. These squash shoes are ideal if you want to improve your performance. They bring you a good cushioning while providing dynamism to your game. With its fresh colors, you will not go unnoticed on the court: they give you style and highlight your technical level. With its asymmetrical lacing and Magic Sole technology, the Asics Gel Blade 5 squash shoes bring comfort and lightness. With the Gel system, these squash shoes provide a good cushioning and shock absorption along the entire length of the foot, heel to toe. With these squash shoes, you can play safely. Besides the cushioning and shock absorption, the Asics Gel Blade 5 squash shoes offer comfort and allow your feet to breathe. With these squash shoes, you’ll see a difference in your game: with the Trusstic system, the Asics Gel Blade 5 squash shoes combine stability and agility. With its Impact Guidance System, your support and propulsion are improved. The Asics Gel Blade 5 squash shoes offer a good balance on the whole foot, heel to toe. 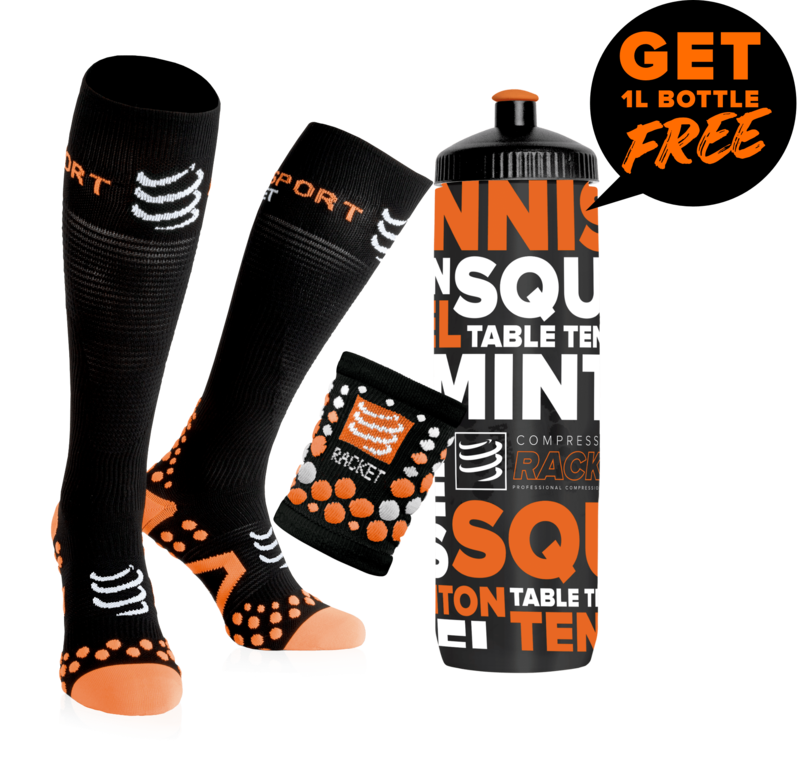 These squash shoes offer also a good grip and will delight competitive and professional squash players.